This was a commission for a client who is self publishing their first book, called The Rug Bear (which I have designed - cover reveal soon!) There will be more in the series and so this is the overarching publishing company they have launched. As well as the branding I have designed a simple yet functional website which can be grown as the brand is launched and expands. Take a look at some of the latest children’s books I have designed in recent months. 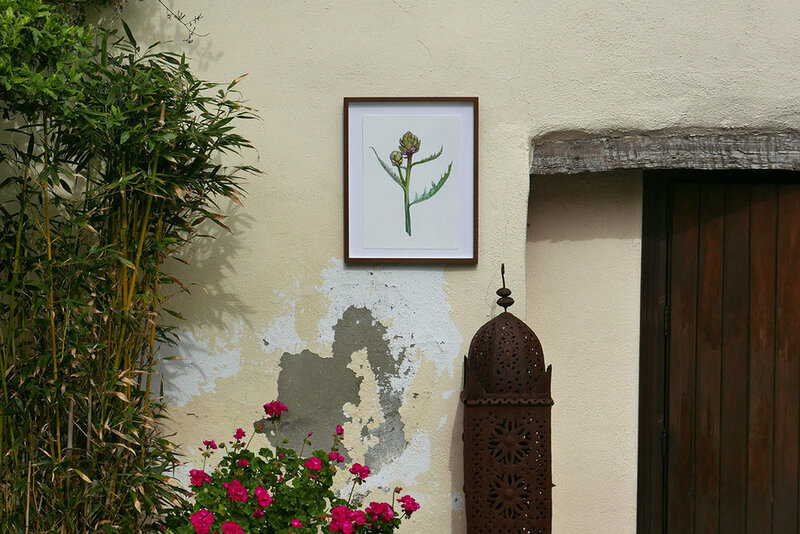 Limited edition, signed and numbered botanical Giclee prints. The originals are also available for purchase, please contact me for more details - or commissions! Warm up with my new series of colourful geometric surface pattern designs, inspired by the Moorish geometric patterns we see all over Andalucia. as much time as possible drawing and painting the local produce as it ripens. Winter Fruits is the latest collection which features oranges, artichokes olives and more. Insects are always a fascination for me and so I have created a separate collection for Bugs and Beetles. Read more about all the collections here. I have created a range of cards and prints to sit alongside each collection which will focus on the detail of the designs. For example the insects from the El Campo, Jardin Sectreto and Bugs and Beetles can be bought as cards in the style of vintage explorer encyclopaedias. Some of the new Geometrics collection are available as cards too. As well as cards you can buy prints of my original drawings. These will be limited edition Giclée prints, all signed and numbered. I am currently in the process of manufacturing more printed products....more news about this soon! I have four new Geometrics cards and fabulously tropical Pineapple cards! More coming soon! A6 Greeting cards. Buy individually or pick and mix your own 6 pack! Sign up with your email address to receive news freebies and latest additions to the shop. We respect your privacy and will not share this info with anyone.